Safety is a major factor when people buy cars and Ford is celebrating this week after racking up three wins out of seven categories in the Euro NCAP’s 2012 best-in-class safety awards. That’s more than any other car maker and comes after the Blue Oval upped its safety game. It’s also an impressive feat since the criteria for safety was tightened up last year and some well known makes and models have been found wanting in the new tests. The Ford models which won are the Kuga, Transit Custom and the new B-MAX. 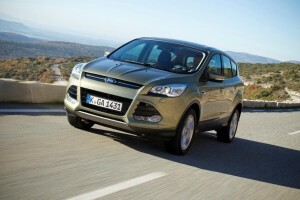 Ford’s new Kuga won the SUV category after achieving a maximum five-star Euro NCAP rating and a class-leading 88 per cent for overall protection. Their new B-MAX was joint winner in the Small MPV category and it also achieved a five-star rating and 83 per cent overall. Most notably of all is the new Transit Custom which picked up the Business and Family Vans section after becoming the first vehicle in its class to earn a five-star Euro NCAP rating and an Advanced reward, scoring 77 per cent for overall protection. Euro NCAP is Europe’s largest independent authority on vehicle safety and their awards reflect vehicle crash test performance and availability of advanced safety technologies. A spokesman for Euro NCAP said: “Our awards recognise the efforts of some manufacturers already offering a higher level of occupant protection in their cars, but today safety means more than protecting occupants in a crash. This entry was posted in 4X4 Car, Crossover Cars, Manufacturer News, Popular Cars and tagged Blue Oval, caption, car, Euro NCAP, Europe, ford, GM, kuga, LS, SUV, Transit Custom by Steve Lumley. Bookmark the permalink.